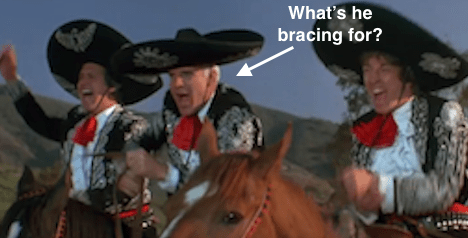 The 3 Amigos are here to simply say that things are as they have been, with Amigo #2 (long-term yields) getting home and pulling back on cue, and the other two (SPX/Gold ratio & Yield Curve) still in process and indicating risk ‘on’ and ‘boom on’, respectively. While gold bug sentiment, Commitments of Traders and the historical seasonal pattern all indicate a good potential for a gold rally coming soon, the stock market’s ratio to gold continues to indicate that risk is on and the play has certainly not been to be hiding in precious metals from the stock crash that never arrives. Quite the contrary. 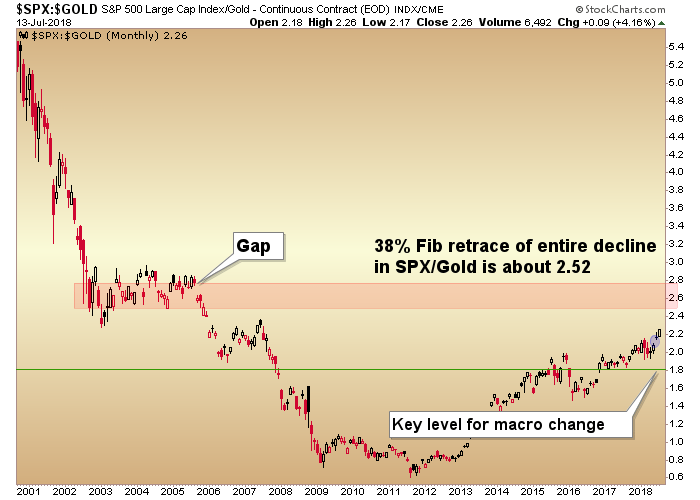 The question here is whether or not SPX/Gold is going to take an interim downturn before registering the upside target. We are working with short-term charts and indicators each week in NFTRH to refine the potential and be ready for such an outcome. But this big picture view is what it is and has been since early 2013; bullish for the cyclical, risk ‘on’ world. 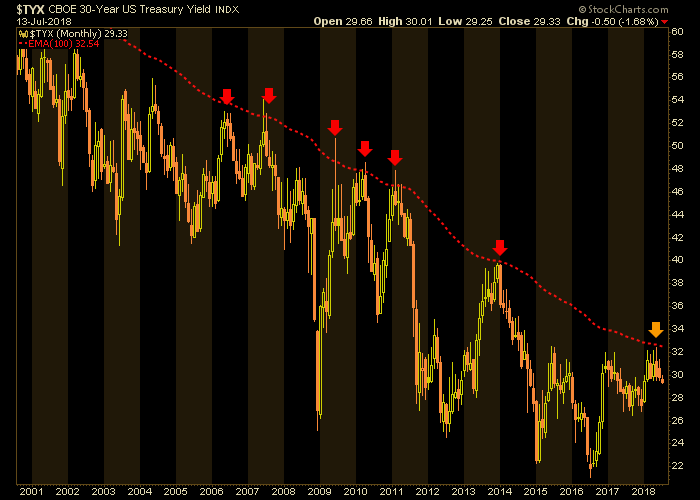 The pullback in yields continues after the 30yr smashed right into our limiter, the 100 month EMA. This Amigo is recuperating and resting at the hacienda, enjoying sangria and waiting for the other two to finish their rides across the macro. Amigo #2 may well ultimately decide whether the next crisis will be inflationary or deflationary. He’s home, and waiting. 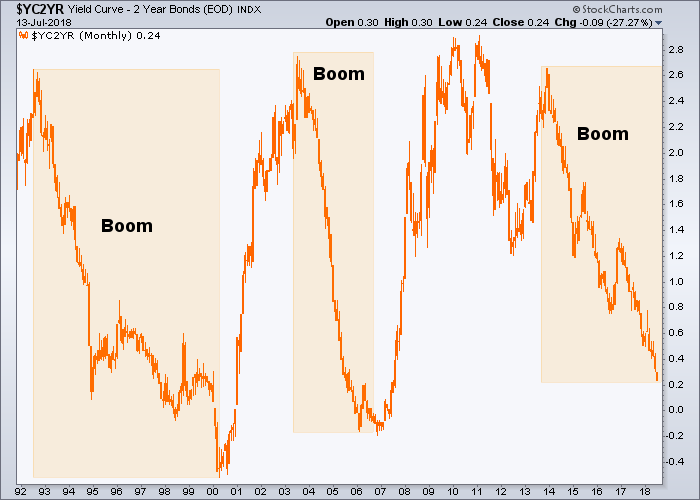 The advice here continues to be to tune out the noise about the curve heading toward inversion and how recessions follow inverted yield curves. Well yes, recessions tend to follow inversions after the curve begins turning up. But a note of caution on that; you might also want to tune out the media’s obsession with inversion all together. The curve is under no obligation to invert before turning up. Such an upturn could be factored along with the state of Amigo #2’s nominal long-term yields in order to define the nature of the bad stuff that would be brewing at such time. But as of now to paraphrase Babu, where is upturn? You see upturn? Show me upturn! There is no upturn!